The Volunteer Manager wanted ads out there remind me of a fish market. Some offerings are fresh, appealing and beautifully displayed and some just, well, stink. Let’s ask some questions, then look at recent ad excerpts and what they say about the organization posting them. How do these organizations view the volunteer manager’s role? Do you view your volunteer manager as a leader? Or as someone who simply fills tasks? 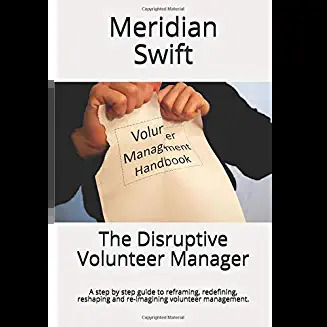 Your role as an executive overseeing volunteer management is thus an important one as you will be there to work with volunteers and support them in their projects. You will also explore ways to help volunteers grow personally and professionally (e.g. as volunteer leaders) so as to enhance their giving experience. This is an exciting opportunity for you to shape an emerging culture and to inspire impactful collaboration, kickstart new projects and ultimately enable better care with and for seniors in our home. Manages volunteer scheduling, activities, and screening. Processes incoming volunteers to ensure they meet requirements. Maintains volunteer files and matches volunteers with projects suited to their skills. Manages all aspects of volunteer appreciation events and assists with developing the annual budget. Manages volunteer office to include scheduling, providing information, maintaining records, ordering office supplies and generating appropriate reports. Do you understand the skills needed to engage volunteers? Or do you believe it’s about having tea parties? In this ad, the appreciation of engagement skills is clearly non-existent: Do they think the leader of volunteers is just one of the volunteers? Or do they mean the VM will not supervise staff, so that tells you something right there, doesn’t it? Operates with direction from the President / CEO and is given appreciable latitude for independent action and decisions corresponding with the demonstrated ability for following policy guidelines, department objectives, and applicable laws, rules, and ordinances. Are you forward thinking? Or are you content with outdated programs? Oversee the recruiting, interviewing, hiring, training, and scheduling of volunteer workers. Respond to inquiries, schedule, and train volunteers. Coordinate volunteers by organizing, planning, and managing the volunteers’ assignments. Coordinate with staff in order to ensure all programming has appropriate and timely volunteer coverage. Manage volunteer software and train volunteers on software usage. Solicit and answer volunteer questions and evaluate volunteer performance and provide constructive feedback and positive recognition. Plan, prepare, and conduct volunteer meetings/continuing education and training seminars at least once annually for volunteers to enhance skills. Manage communications and notifications to volunteers. 5 years of experience in high-level volunteer management. 3. Lead staff and volunteers in building a plan of action, including effective service and serving an increased number of clients 4. Involve staff and volunteers in ways that will bring high visibility and public esteem. 5. Cultivate, develop and maintain a close working relationship with the key leadership in each department to help them effectively achieve their goals and objectives. Do you appreciate how passionate and creative volunteer managers are? 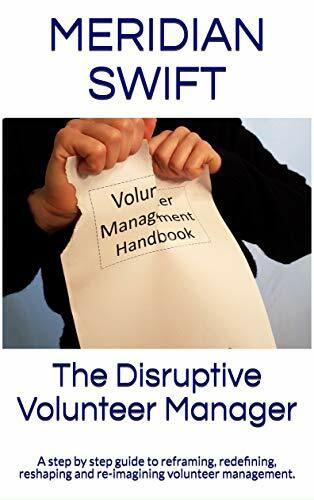 Or does your volunteer manager take a back seat? Coordinate parking for volunteers when necessary. Schedule and coordinate volunteer recognition and appreciation events. Contribute to development of department budget. Provide periodic (weekly, monthly, yearly) reports when needed. The Volunteer Program Manager is an important role in our organization. Because our organization values and depends on our volunteers in every facet of what we do, the person in this role will be a key collaborator assisting in the delivery of (our) programs and services. Want ads say a lot about an organization. Ads reveal the culture, the expectations, the value placed on the skillset of the applicant, the support offered and the perception of the position. What does your ad say about you? Hi Eileen and thank you. I’m finding more and more ads that show an encouraging trend towards valuing the volunteer manager role. Progress may be slow but it’s steady. It is useful to know what specific responsibilities the org expects the VM to be in charge of – including whether the org really wants donors as in one of these examples. I would look for a combination of what the article perceives as “good” and “bad” postings but since most people don’t know how to hire well – and orgs with an all volunteer board of directors or with few or one other paid staff members *especially* tend to have bad, or at least not good, hiring processes from the moment they realize they have to hire someone. Edit : since… I have rarely seen anything close to a full description like this. Thank you Samantha for pointing out that organizations with very few paid staff most likely have little experience in the HR end or the hiring process. Perhaps reaching out to other orgs and asking questions about pivotal staff positions will help them piece together how they view the position and therefore, the type of person they want to hire. We don’t know what we don’t know, so I encourage any organization looking to hire a volunteer manager to reach out to volunteer management experts in their area to find out exactly what the position entails and how to attract a great leader of volunteers.